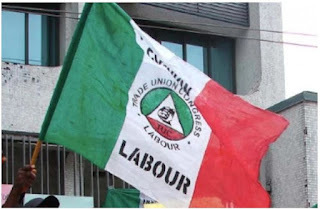 The leadership of the Nigerian Labour Congress (NLC) yesterday, announced its readiness to confront the present administration in the state over the continuous payment of 50 per cent salary for civil servants, saying such half salary payment is no longer sustainable. The decision of the NLC is coming few hours after the lecturers of the state-owned university, Niger Delta University, forced the Governor Seriake Dickson administration to pay two months full salary as a condition to call off the lingering strike action that had paralysed the institution. The Bayelsa State Chairman of the NLC, Comrade John Ndiomu, said it was no longer interested in half salary payment to civil servant in the state. Ndiomu, while leading a rally organised by the state workers yesterday in Yenagoa, said the essence was to call the attention of governments at all levels on the need to improve workers well-being. He reinstated the union’s commitment to protect the interest of workers and added that it was fully on ground to bear the pains of all civil servants in the course of protecting their right.